call or text me to set something up. 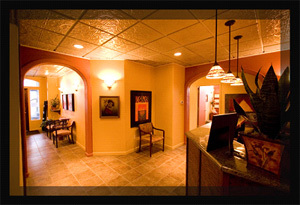 Welcome to Greg Hughes Massage Therapy located Downtown Spokane, WA. I have been a Licensed Massage Therapist in Washington State (Lic # MA00015749), and Nationally Certified (NCBTMB # 305837-0) since 2001. 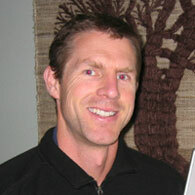 I am a Deep Tissue Massage and Sports Massage Specialist. The overall focus of my massage practice is on resolving muscle and joint dysfunction. I specialize in neck and shoulder issues as well as low back and hip pain. I utilize a range of techniques to help your body find structural balance and move from dysfunction to function. I have developed my approach to massage by studying with three of the best teachers in massage therapy today. Please explore their work to gain insight into what I do. Healing of tissue or imbalance in the body is ultimately done by the body. Massage Therapy opens a window of opportunity allowing the body a better chance of making needed repair and/or remodeling to muscles, tendons, ligaments and fascia. Massage Therapy can also provide a window of opportunity for the body to address neuro-muscular imbalances that are causing tension, spasm, inhibition, and pain. The key is for the therapist to provide a large enough window and educate the client on how to take advantage of that opportunity. The window is often times closed due to stress, tension, poor sleep, poor nutrition, lack of movement, and too much flexion (i.e. sitting and forward head postures). With feedback and open dialogue it is my goal to help clients navigate the most important aspect of therapy- self-care. I believe it is vitally important to provide my clients with an understanding of what is causing pain and dysfunction, and providing self-care tools such as- movement, stretch, tone, strength, biomechanics, and nutrition so they can better take advantage of their therapy session and reach their health goals. It is through thoughtful collaboration and a well-studied approach to massage therapy that I help my clients. If you want to open that window and fly through it please call me and make an appointment.